Cardiac rehabilitation is physician-supervised, often times physician-prescribed, program for people who have either congenital or acquired heart disease. Program participants may or may not have had a heart attack or heart surgery (or other heart procedures). Cardiac rehabilitation can often improve functional capacity, reduce symptoms, and create a sense of well-being for patients. 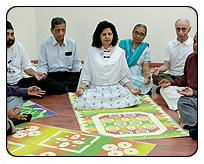 A cardiac rehabilitation program is designed to meet the needs of the individual patient, depending upon the specific heart problem or disease, and should be supervised by a cardiac physician and a cardiac team of professionals. 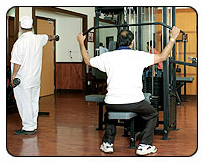 The goal of cardiac rehabilitation is to help patients reverse their symptoms and maximize cardiac function. How will this help me? Studies have shown that Cardiac Rehabilitation significantly reduces the risk of future death and complications of heart disease. The focus of the program is not just on exercise, but to change your lifestyle and risk factors to achieve a long and healthy life, free of heart disease. Will my doctor be involved? 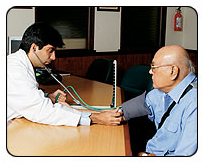 Your personal physician and cardiologist are an integral part of your care and will be informed about your progress. They will also be involved in any decision affecting your medical care. In addition to the above, Asian Heart regularly conducts week-end camps, designed to help those who are unable to attend our regular programs. These are usually conducted on Sunday and the goal is to introduce the patient to various risk reduction methods, which they can then follow on their own. What if I do not have heart disease? 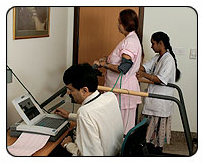 We have a 'Heart Disease Prevention Program' for those who are at risk, but have not suffered. An individualized program of exercise, nutrition, and medications (if required) are planned for the person, with a goal to reduce future risk of disease. 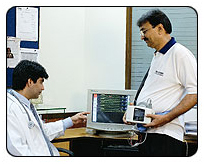 Tests are carried out before and after the program to assess the cardiac status.